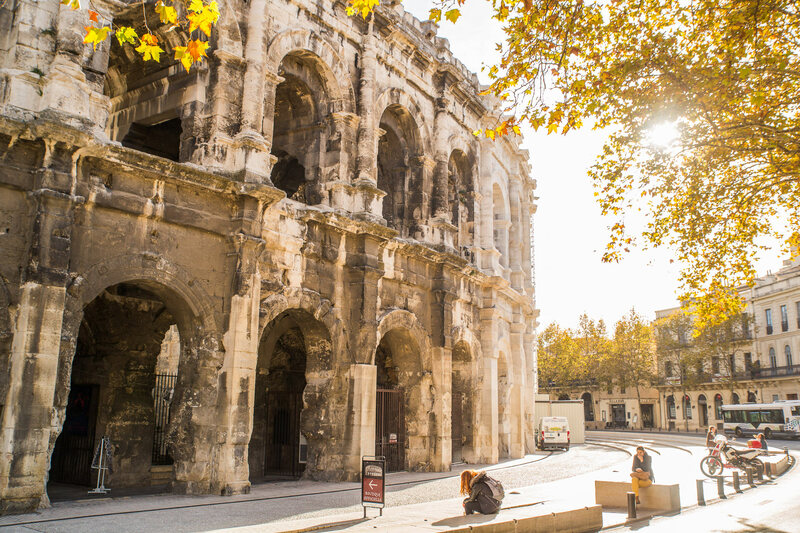 What to do and see in Nîmes for 1 or 2 days? What to do around Nîmes? To visit Nîmes in the South of France , is to discover a very pleasant city to stroll on foot, and where it is good all the year. After having acquired the status of City of Art and History, the city is also a candidate to be listed as a UNESCO World Heritage Site in 2018 . The perfect place for a weekend getaway in the sun. Roman monuments such as the arena of Nîmes or the Carrée house through the gardens of the fountainand the historic center, I invite you to visit all the places of interest in Nîmes! In our guide, you will discover the 10 things to see and do absolutely in Nîmes and also in the surrounding area. 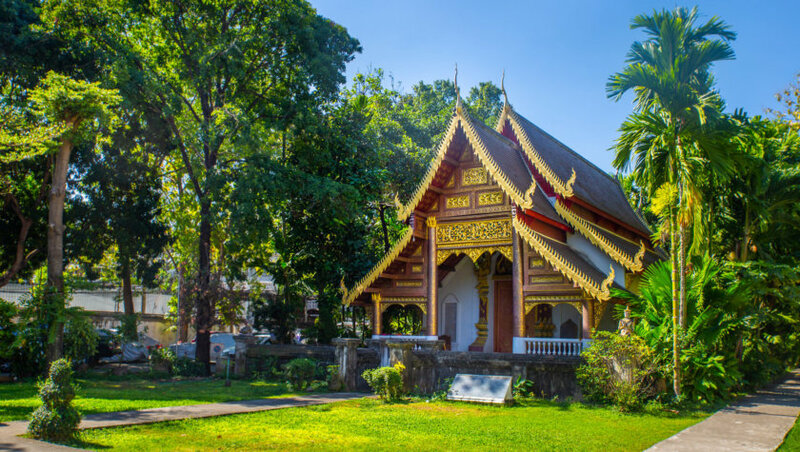 Also find our accommodation tips , routes to visit the city in 1 or 2 days and tips and tricks to make the most of your stay. It is the emblematic place of interest of the city and one of the first things to see in Nîmes: the arena of Nîmes. Built in the late 1st century AD, this amphitheater is one of the most famous Roman monuments in Franceand is also one of the largest and best preserved Roman Gaul. More than 20 000 spectators, spread out on the different stands according to their social rank, were welcomed inside during gladiator and animal fights. From the outside, with a facade 21 meters high, 133 meters long and 100 meters wide , the arenas are also particularly impressive and have a true symmetry. This is a perfect example of the know-how of Roman engineers who had reached a very high level of perfection . The arenas of Nîmes are also often compared to the Coliseum of Rome , Italy , in a smaller version all the same! A multimedia space, “Gladiator’s Quarters” , is devoted to gladiators presenting their weapons and costumes. You will also be able to watch virtual demonstrations of fights to fully immerse yourself in the atmosphere and the special atmosphere of the time. Another part of the arena, “Couleurs des corridas” , presents the taurine tradition. You will learn more about the ancestral practice of bullfighting and bullfighting . You will also see the outfits of matadors and bullfighters. Whether you are for or against, it is a very good way to cultivate and enrich oneself, by discovering more about this very controversial subject. The arenas of Nîmes also often host bullfighting shows, concerts and sporting events. It is therefore possible that during your visit, the center of the arena is occupied by a platform not very photogenic (it has happened to us in Sicily , during our visit of the Greek theater of Taormina and I admit that it is a little frustrating). The visit of the bullring being the main tourist activity of Nîmes , I recommend you to reserve your places in advance right here . This cut-line ticket is super convenient to avoid a long wait in full sun (full in the sun as they say in the South)! Access information and schedules can be found on the official website. Before going to visit the arena, go through the Esplanade Charles de Gaulle , located next door. 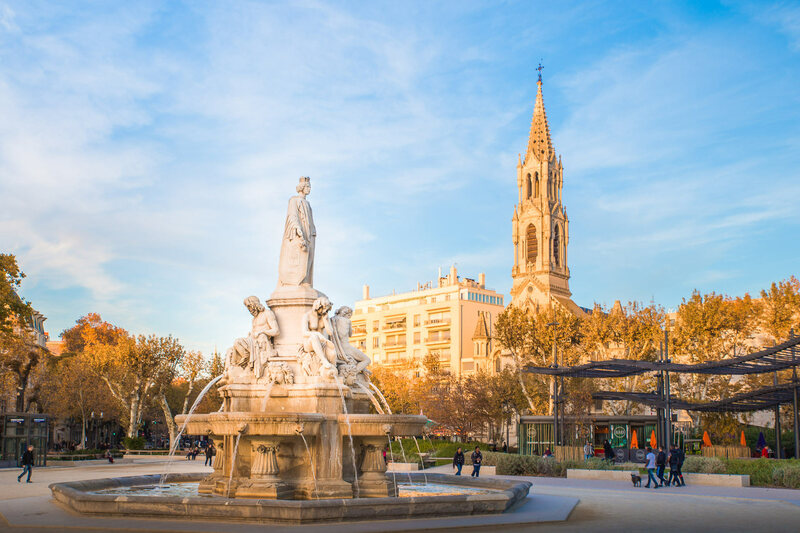 It is a beautiful place to walk and you can admire the Pradier fountain enthroned in its center.On the practical side, the esplanade has an underground car park, very useful for parking and then visit the center on foot. You will also find the tourist office of Nîmes to get a map of the city. Another Roman monument to see absolutely in Nîmes: the house Carrée. The only preserved temple of the ancient world , the Carrée house is dedicated to the adopted grandchildren of Emperor Augustus, Caius and Lucius Caesar. At the time the temple was at the center of public life and dominated the forum of the ancient city. The historical monument is very beautiful and elegant thanks to its harmonious proportions. Once again, it highlights the talent of Roman engineers. The building owes its excellent state of conservation to the fact that it has always been used but also to a big restoration project that ended in 2010. 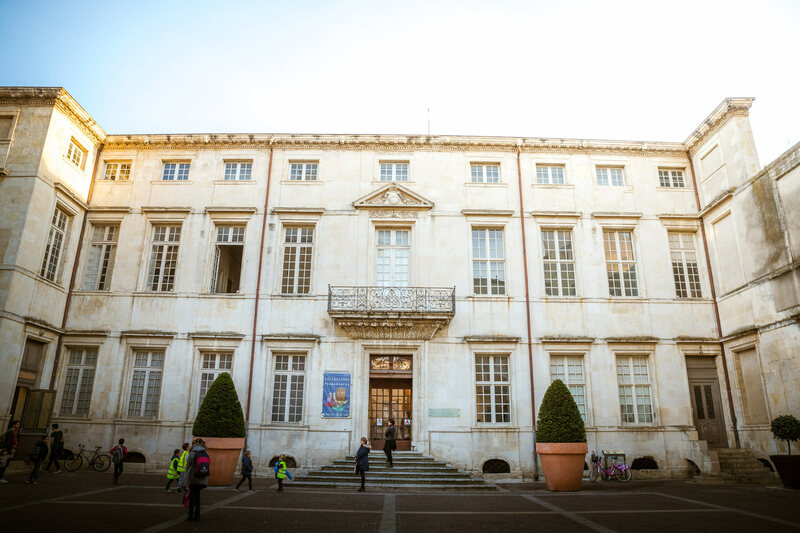 Inside the Carrée house, you will see a film that runs continuously every day and explains the history and foundation of the city by following the adventures of a Roman family. A fun way to discover the origins of Nîmes. To visit the 3 main Roman monuments of Nîmes (the arena, the Maison Carrée and the Magne Tower that I am talking about below), get now a combined ticket for only 13 € per person. It is valid for 3 days and includes an audioguide. 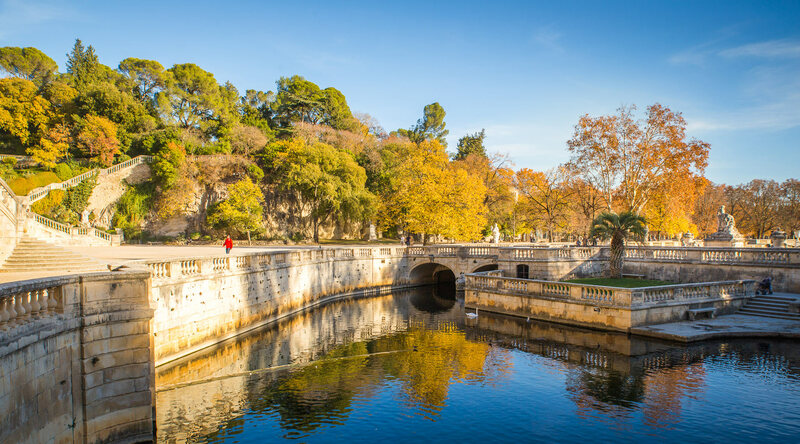 After your visit of the Maison Carrée, I suggest you continue your stay in Nîmes with a walk in the most famous gardens of the city: the gardens of La Fontaine. To join them, I advise you to go through the Quays of the Fountain , along the canal, you will fall directly to the entrance of the gardens. The gardens were created in the 18th century on the ancient site of one of the first public gardens in Europe. Built around the source that has never dried up, the current garden respects the plans of the old garden and is inspired by it. The place, with its fountains, its lakes and its statues is very frequented by Nîmes and tourists. I found it particularly pleasant to walk in the shade and under the shade of huge trees. The walking trails are well laid out and there are plenty of benches to rest. In the gardens you will also find the Temple of Diana . 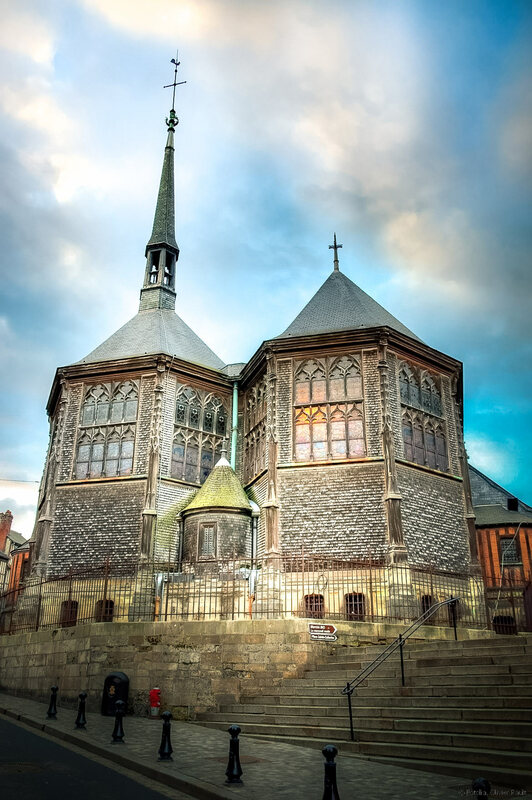 It is nicknamed “temple” but its exact function has never been found, just as it is not certain that it is dedicated to the worship of Diane, goddess of hunting. The temple was in any case part of the ancient sanctuary built around the source . In the meantime, you can wander the ruins and take a little for Indiana Jones! The Magne Tower is the third Roman monument to visit in Nîmes. It is also included in the past which I told you a little higher. To join it, it is very simple, it is enough to climb at the top of the hill of the gardens of the Fountain. Just follow the signs! From the bottom of the gardens, count a dozen minutes of climbing. In Roman times, the tower was the highest of the Roman enclosure of Nîmes . Composed of 3 levels, it dominated the hill and signaled the presence of the ancient sanctuary below. Today the top floor has collapsed but you can climb to the top of what is left of the tower. The view is breathtaking on all Nîmes , the scrubland and even to Mont Ventoux. 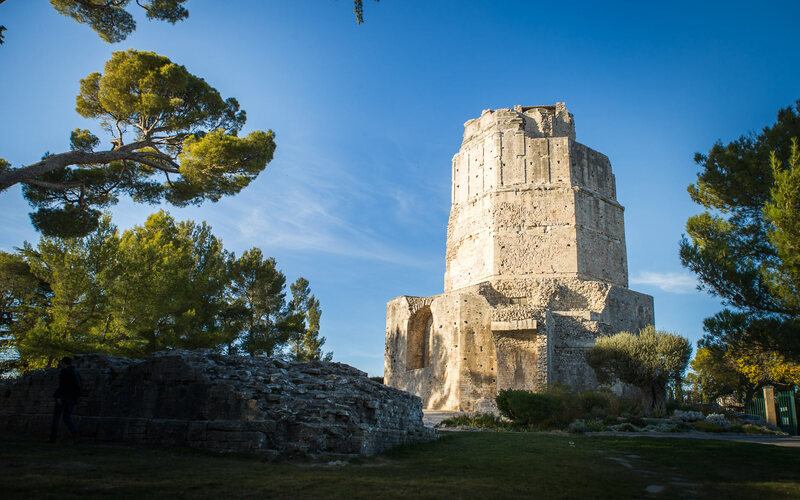 Following a Nostradamus prophecy that gold and silver objects were hidden under ancient buildings in Nîmes , the Magne Tower was partially destroyed and emptied from the inside to try to discover the treasure! Of course nothing was found and it was necessary to consolidate the tower to prevent it from collapsing. 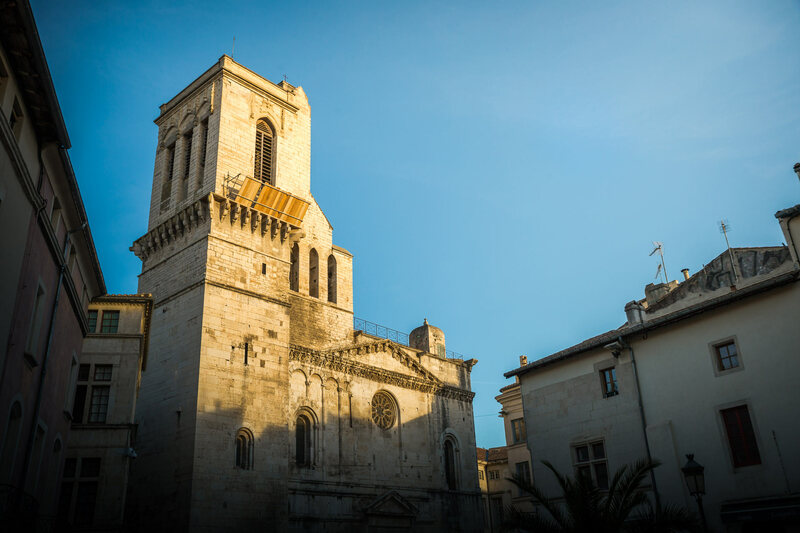 To continue to do some tourism in Nîmes , I recommend you to walk in the historic center. 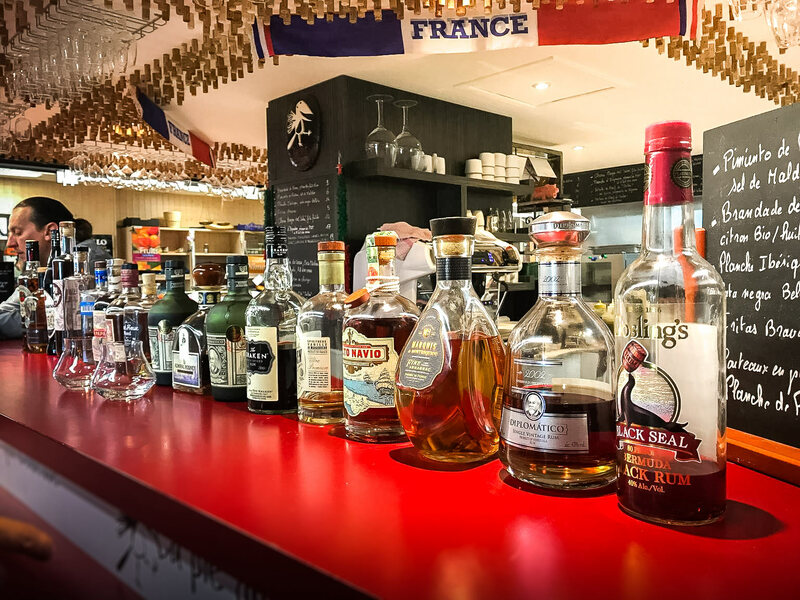 Of course, you have already been able to visit part of it when you discover the bullring of Nîmes and the Maison Carrée but there are many other places of interest to see in the old town. L’Écusson (the name given to the historic center of Nîmes) is a veritable maze of nice little streets with lots of shops and cafes or restaurants. Recently renovated and refurbished , the place is super nice. the Auguste gate also called “Porte d’Arles”, the main gate of the ancient city, crossed by Via Domitia linking Nîmes to Cadiz in Spain . It was part, with the Magne Tower and the Porte de France of the 7km long enclosure built by the Emperor Augustus to delimit and protect the city. the Castellum , it is not located properly in the historic center but further north. This very rare vestige was the point of arrival of the Aqueduct of Nîmes. It was used to distribute the water to the public fountains and the different neighborhoods of the city. In France, gastronomy and good food are sacred! 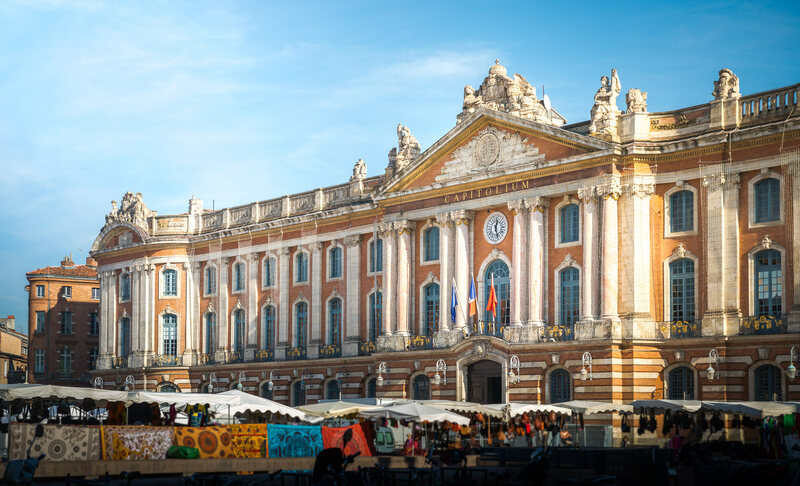 To find the good products of the soil and the Nîmes region , take a tour through the central market of Nîmes , a large covered market . This is the best way to have a complete inventory of local gastronomy! small patés from Nîmes: pâtés of meat surrounded by short pastry, world champion of small pâté, Stéphane Meyer is in the halls! And if you want to eat squarely in the Halles , I recommend the restaurant “La pie qui quil” . A kitchen and dishes made with products sold on the market. To taste in particular the burger with Saint-Nectaire or the kidneys of veal and its excellent sauce with chorizo! Does not it make you hungry? Les Halles are open every day from 7h to 13h. You will find all practical information on the official website. 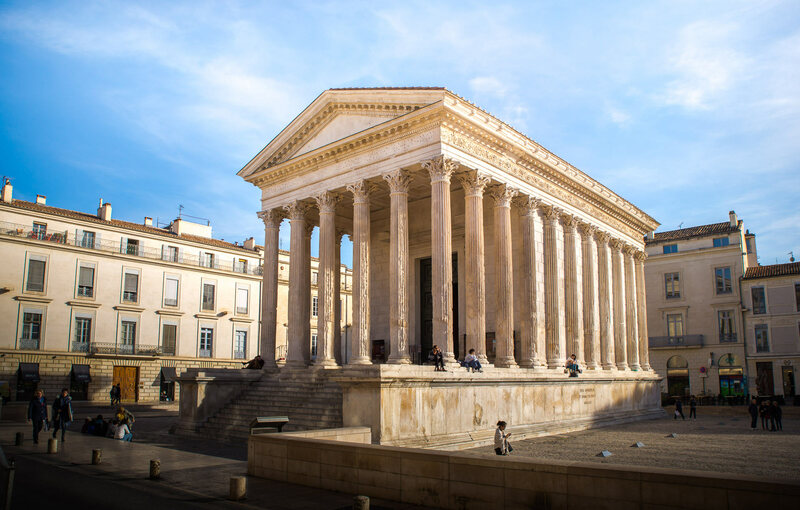 Nîmes is a city giving plenty of room for culture, so you will find plenty of museums. the museum of Old Nîmes : through many everyday objects, you will discover life in Nîmes since the end of the Middle Ages. the Natural History Museum is interested in 3 main themes: prehistory, ethnography and zoology. the Museum of Fine Arts and its collection of French, Italian, German and Dutch paintings. the Museum of Contemporary Art located in the Carré d’Art , a huge space gathering in addition a large library and a media library. the Museum of Taurine Cultures presents this culture so specific to the South of France and often criticized. the Museum of Romanity located just opposite the Arena. Brand new, it will open in June 2018. It offers a very innovative experience in the discovery of antiquity. More than 5,500 works will be visible: ceramics, mosaics, statues … The museum also has a 360 ° panoramic terrace over the entire city of Nîmes. Since the 17th century, the city is renowned for its resistant fabric, the Nîmes canvas . But it was not until the 19th century, and Levi Strauss bought a lot by chance, to give life to the most famous pants in the world: the Blue Jean or Jean Denim (Nimes / Denim, do you understand?😋)! The museum of Vieux-Nîmes traces this story. Once visited Nîmes, I recommend you spend a few days in the vicinity of Nîmes . There is indeed a lot to do and see around Nîmes. The main activity to do around Nîmes is undoubtedly the visit of the Pont du Gard . It is located about 35 minutes drive from Nîmes. This is one of the places I highly recommend visiting if you are in the area. 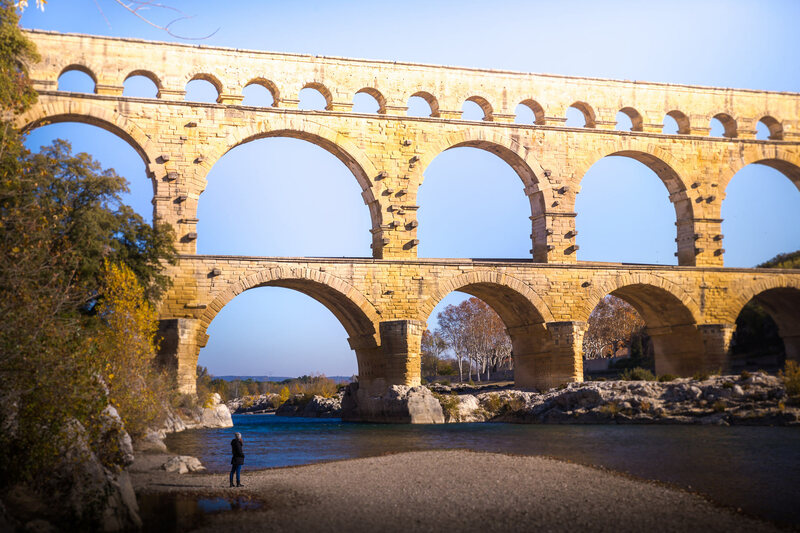 The Pont du Gard is an impressive vestige of the Roman aqueduct that snaked through the hills to bring water to Nîmes. 2000 years old, made up of 3 floors, classified in the UNESCO world heritage , the majestic building spans the Gardon and offers the opportunity to realize beautiful shots. Once again, the genius of the Romans in the art of construction is put forward! The bridge was built in just 5 years , a feat for the time! You will only be impressed by its size and aesthetics . I admit that I had already seen a lot of photos but in truth, it is really impressive. the Pont du Gard museum: to see imperatively to discover all the stages of construction of the Bridge. This is the only place where all the explanations are grouped together. To prepare your visit, consult the official Pont du Gard website . To avoid paying the entrance ticket and if you like hiking, park at Saint-Bonnet du Gard, the Mairie or the Place de la Fontaine. From there, a marked trail will take you to the bridge. Access to the Pont du Gard is free for hikers , so it’s a way to make a small economy. About 45 minutes drive from Nîmes, join the Camargue. With its ponds, salt pans, horses, bulls and flamingos, the Camargue is a beautiful place to visit around Nîmes. Always around Nîmes, you can take the opportunity to take a ride on the shores of the Mediterranean . The sea is only 45 minutes drive from Nîmes! The nearest beaches and towns are near Grau-du-Roi and La Grande-Motte . 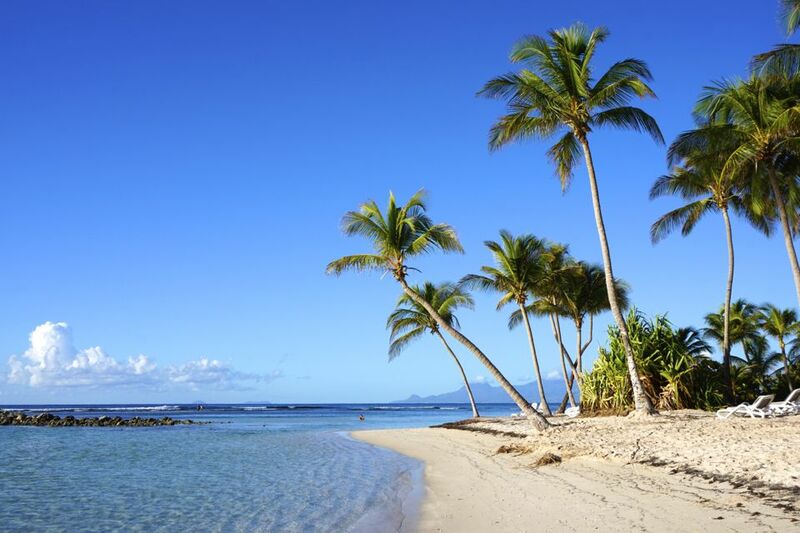 Take the opportunity to stroll along the beach , have a picnic or even swim if it’s time! Campanile Nîmes-Center Mas Carbonnel: Located about twenty minutes walk from the arena of Nîmes. Bright and comfortable double room from 65 €, breakfast 9.90 €. The most: the comfort of the rooms, the equipment, the cleanliness, the large choice of buffet especially for the evening meal. Appart’City Confort Nîmes Arènes: Located 1 minute walk from the Arena. Modern and design studio with kitchenette equipped from 100 € per night, breakfast 14.90 €. Most: the excellent location to visit Nîmes on foot, the decoration, the impeccable home. This is our favorite for its benefit / price ratio! Hotel & Spa Vatel : Hotel located 2km from the city center of Nîmes. Double room warm and spacious from 140 € per night, breakfast 16 €. Pros: excellent location, services and hospitality, breakfast buffet, quality of meals, access to the Spa and gym included in the rate. This is our recommendation for a luxury stay in Nîmes. Little Fadette: Restaurant located rue du Grand Couvent, near Les Halles and Maison Carrée. Dishes quite original and made with fresh products coming directly from the Central Market. Excellent cuisine at low prices! Warm, cozy and friendly setting. The Bohemian Garden: Located rue des Muriers, just next to Les Halles. The dishes are homemade, made from fresh products, very good and original. Excellent value for money, warm welcome and authentic setting, you will not be disappointed! L’Esclafidou: Located rue Xavier Sigalon, between the Auguste gate and the Notre-Dame cathedral. The dishes skilfully mix traditional regional flavors with elements of South African cuisine. The result is top and original. Home cooking, tasty and hearty dishes. Nîmes also has an airport but only served by destinations abroad: Brussels, London, Marrakech, Fez. And you ? What do you plan to visit in Nîmes? 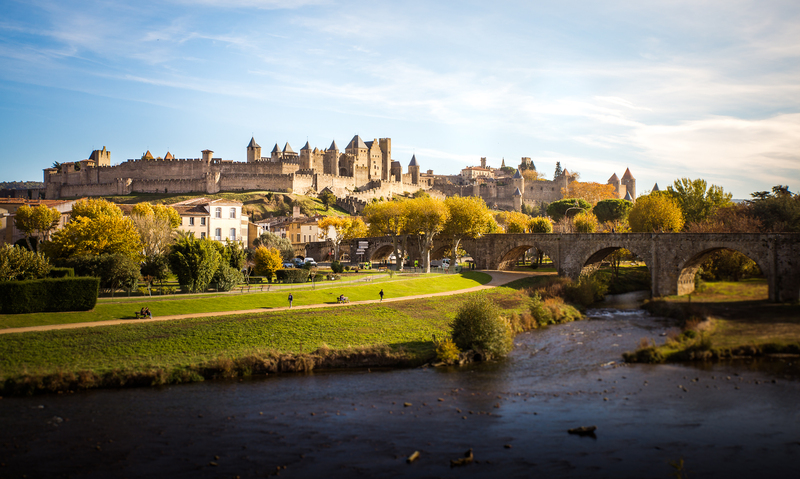 Discover all our articles on French cities : All Travel Tips articles on France are listed here.